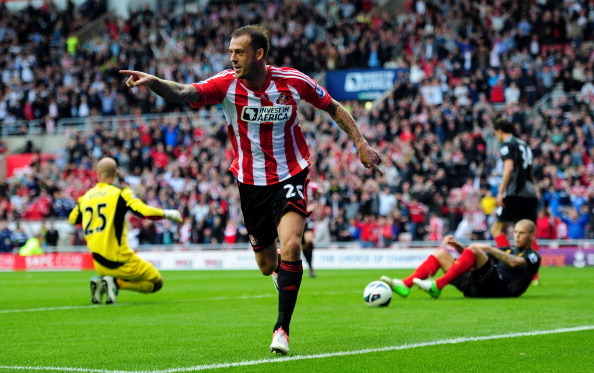 In recent developments, Tottenham Hotspur have emerged as surprise suitors for out of favour Sunderland striker Steven Fletcher in a bid rumored to be in the region of £10 million. Spurs have been woefully short in the goals department this season, despite spending the best part £108 million in the summer. Roberto Soldado has failed to make any impact this season, scoring just one goal from open play in the Premier League this season. Jermain Defoe on the other hand, looks set to leave England in search of more football. As new manager Tim Sherwood plots a ruse to get his team into the Champions League next season, he has identified the Scottish international as a potential solution to the problem in front of goal. However, the North Londoners are likely to face stiff resistance from the likes of Celtic, who have Champions League to offer, and Hull City, who are both said to be interested in the proven goal scorer.